Home and Gardening With Liz: Ruby "40 Years"
We celebrated our 40th Wedding Anniversary on Sunday. Our daughter arranged to have this bouquet of 40 roses delivered that day also! I decided to play up the "ruby" red coloring which is the traditional gift for the 40th Wedding Anniversary. The flatware is our wedding set from 1978. Perfect time to use it again! The ruby red glasses have cherries on them which I bought for the symbolism of our area being the largest tart cherry producer in the country. The fleur de-lis cups mixed well with dishes. 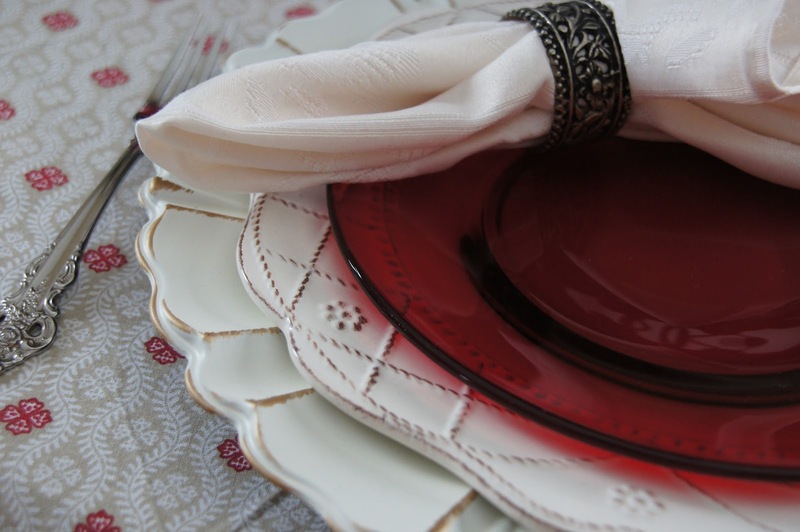 I chose the charger and dinner plate for their understated earthy colors that go well with the tablecloth. 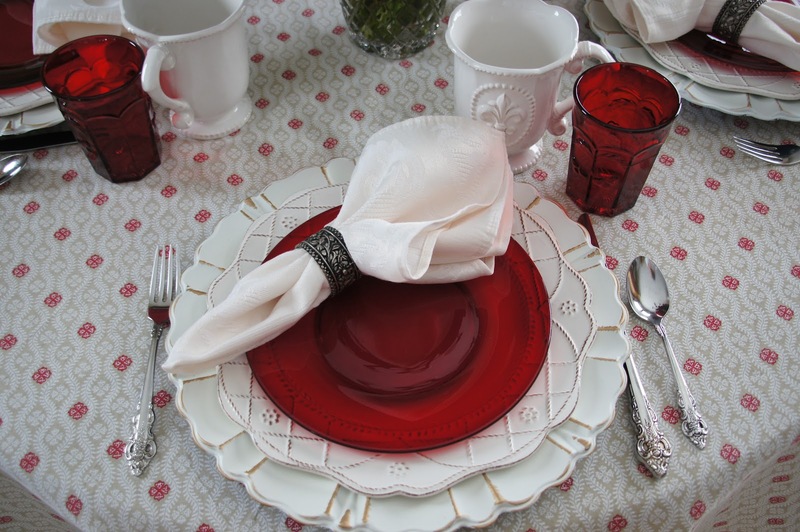 I chose the antiqued metal napkin rings to pair up with the flatware. The napkins came from my mother's table linens and I'm sure they are at least 50 years old now. A table set with love and sentiment! 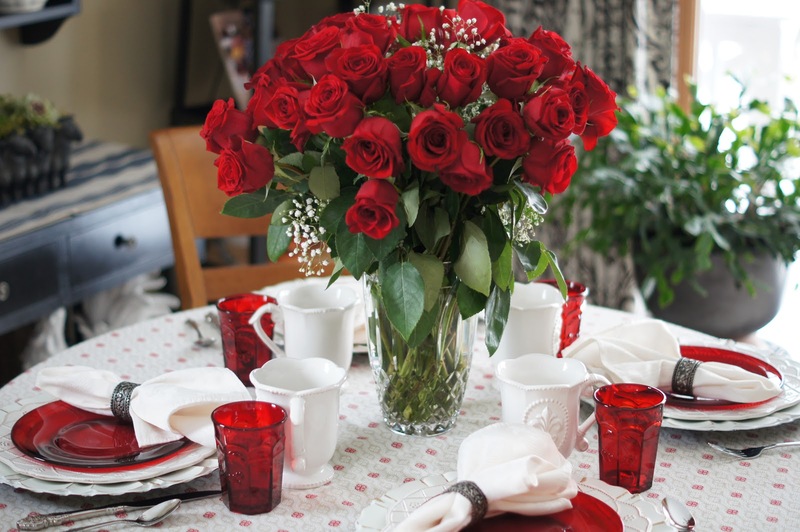 We had some of the most grueling weather all weekend which put a damper on our day but receiving the lovely roses perked it up a lot so of course I had to set a table with them! Hard to believe we've been married this long- so much has happened yet time sure has flown by! Last Thursday Dan popped in with the largest bundle of flowers I've ever gotten from him! I love the cheerful colors and I couldn't get another stem in there! What a great pick-me-up! We're a little aged now but not worn out! Happy Anniversary, you two! Cheers to many more years of happiness. Liz, wishing u a fabulous forty! 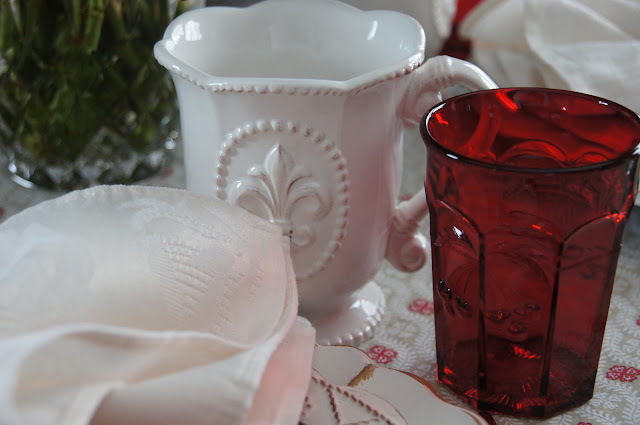 Loved the table, especially those ruby red glasses and how you mixed old and new. Enjoyed the wedding photo too! Thank you Martha Ellen- I like being traditional! 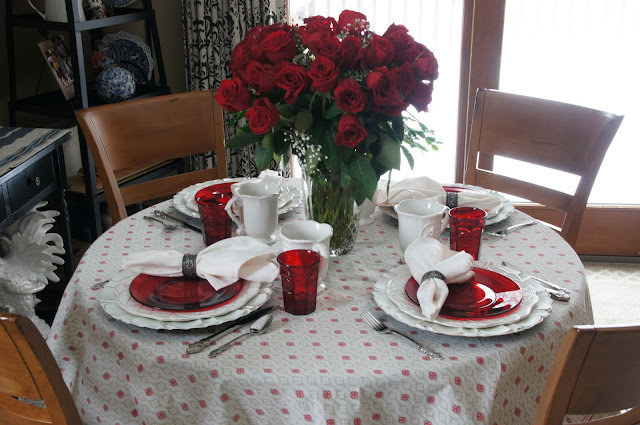 Such a beautiful "Ruby" Tablescape. Happy Anniversary!!!!!!! Thank you Marty- had to go for the Ruby! Happy Anniversary. 40 years woo hoo! Terry and I are about 3 years behind you. 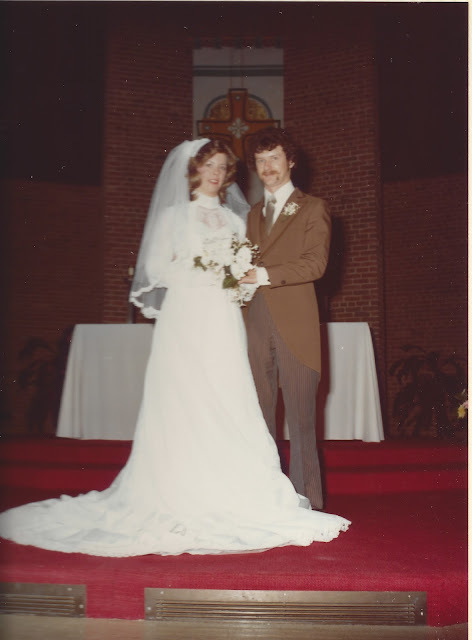 We were married in 1981. 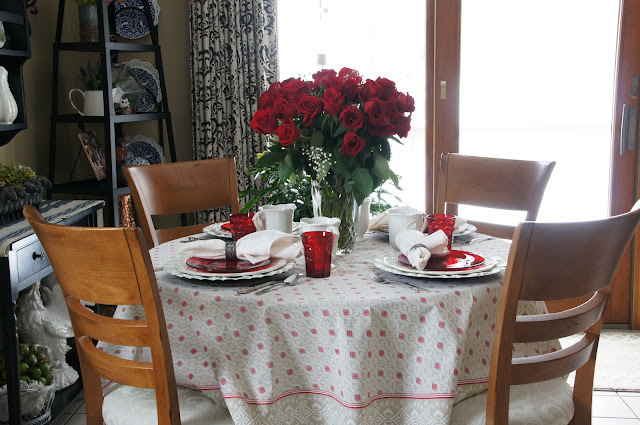 I love the table scape so pretty. The wedding pic and your Easter selfie pic are adorable. Congrats to both of you. Here's to many more. Pretty table and congratulations on your anniversary. Loved seeing the wedding pic of you. Thank you Cindy- definitely hoping for many more! Forty years of love! You can’t beat it with a stick! 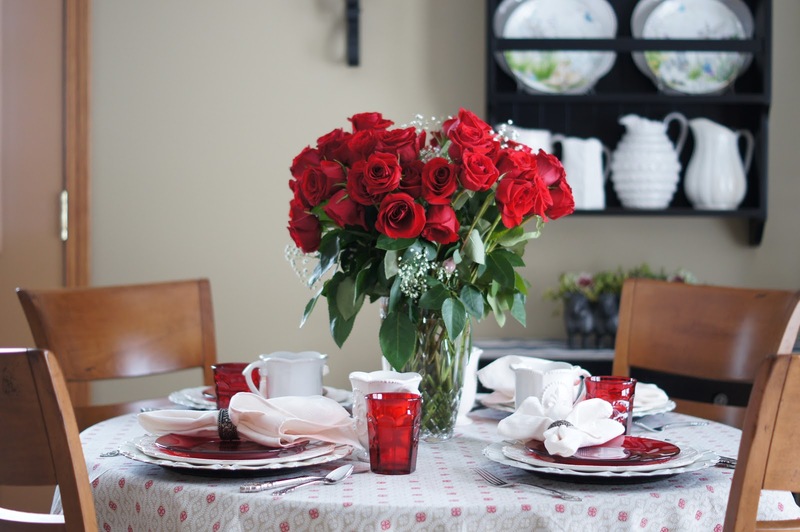 What a beautiful table to showcase your roses!!! Perfect! 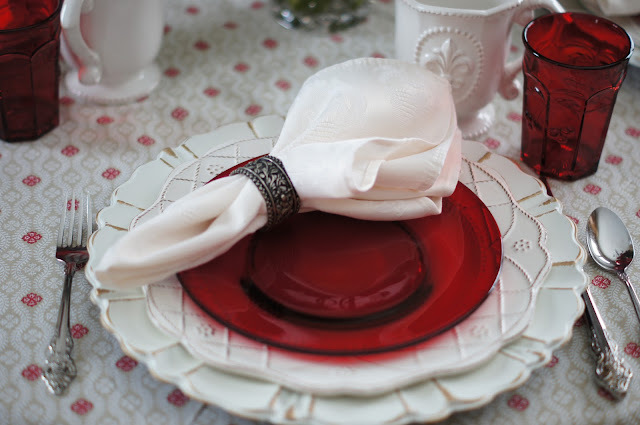 The ruby red dishes are so rich and perfect, too!!! I wish you guys many more years of love and happiness! Thank you Alycia! 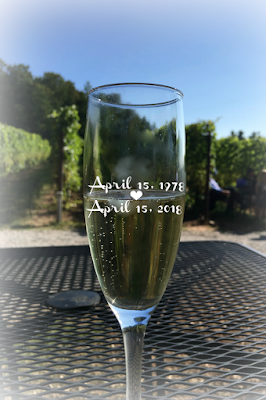 Hard to believe 40 years have gone by already! Thank you Sandra. 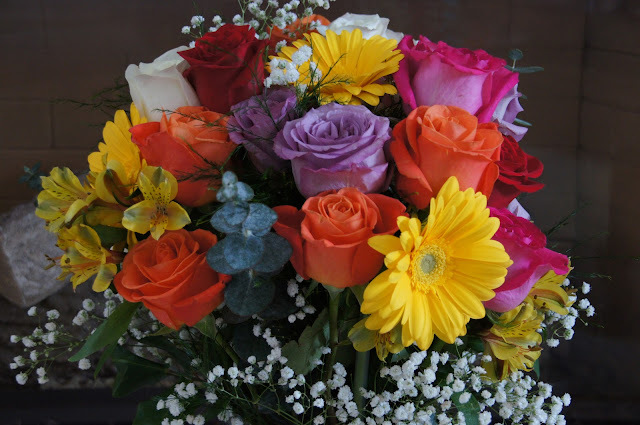 I was so surprised when the roses were delivered- I agree kudos to our daughter! Happy Anniversary and I love your wedding picture. The roses are striking and the table is beautifully styled. Thank you Sandra Lee. 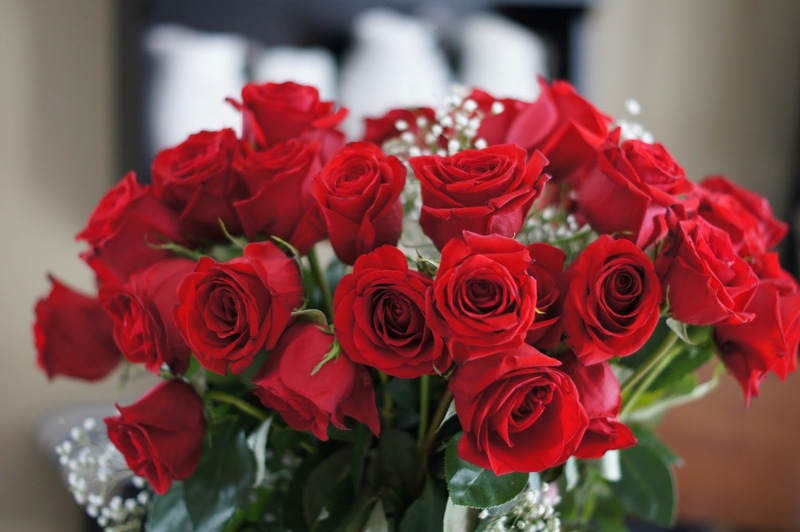 The roses were a great surprise and certainly highlighted our anniversary nicely! Beautiful table for a lovely couple. Happy anniversary wishes. I am late getting here, busy times helping my mom. Love the tablescape. The red roses are so romantic. Here's to many more wonderful years of marriage. 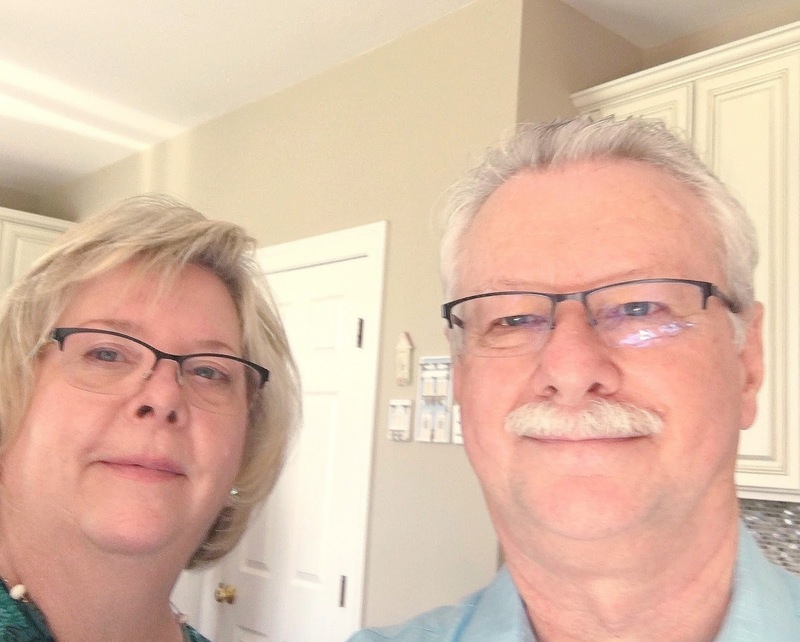 Happy Anniversary to you both! Liz, your table is beautiful and so perfect to celebrate 4 decades of marriage. 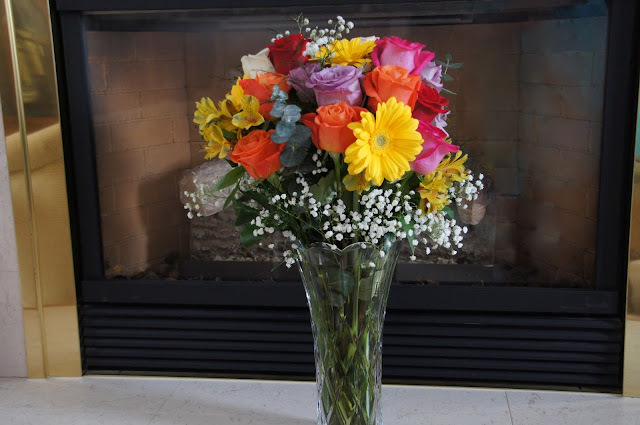 Lovely flowers and here’s to many more years together! Congratulations on 40 years, Liz. Join Us For A Garden Party!